How to fly drones in non-controlled airspace? How to fly drones in situations involving significant risks, catastrophes or public calamities? More details can be found in the AIS store. Now available the 2018 paper edition of the new «Guia ENAIRE para vuelo visual». You can find all the details in the AIS Store. Soon there will also be a digital version freely available on the ENAIRE website. Now available the 2018 edition of the ENAIRE carthography for visual flight rules at scale 1:500.000 (VFR 500). Yo can find all the details of the paper and digital versions in the AIS store. New portal for access to aeronautical information. INSIGNIA is a groundbreaking portal to access aeronautical information that presents the content of the AIS database in a graphic and interactive map-based format (free service). Improved, new-look AIP online publication. AIP online checks (free service). This website lets you view AIP Spain on DVD. 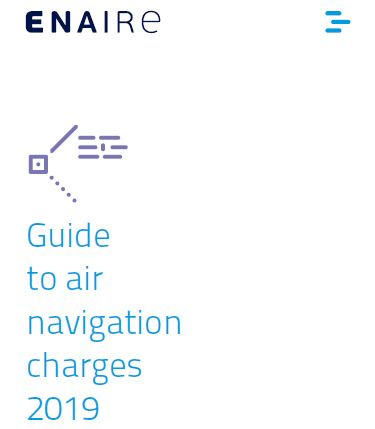 ENAIRE is the air navigation manager in Spain, controlling more than two million square kilometres of airspace. This website uses own and third-party cookies for a better service. They are not used to collect personal information. If you continue browsing, it is considered that you accept its use. For more information see our cookies policy.